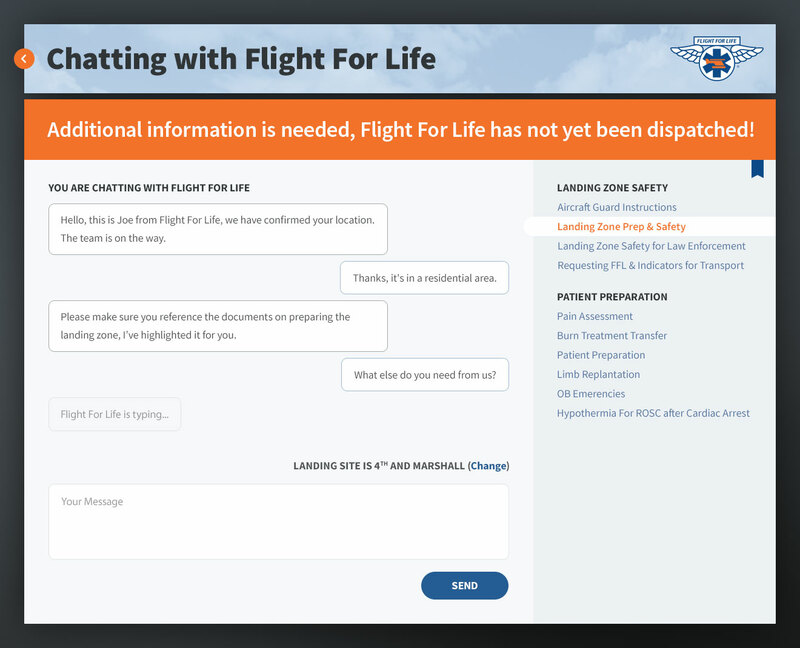 Flight For Life was looking to create an application that would allow them to chat with EMTs in an emergency situation to coordinate the safe transfer and transportation of patients. 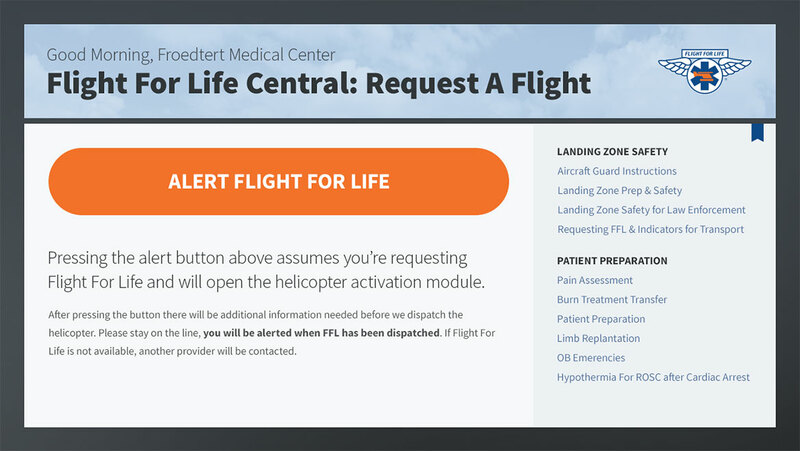 The most important aspect of this application was to make everything go as smoothly as possible—It was essential to ensure the design never hamper the function of the application. The experience aims to take all unnecessary decision making out of the hands of the user. Important actions garner extra attention by being extra large and contrasted compared to the rest of the application. 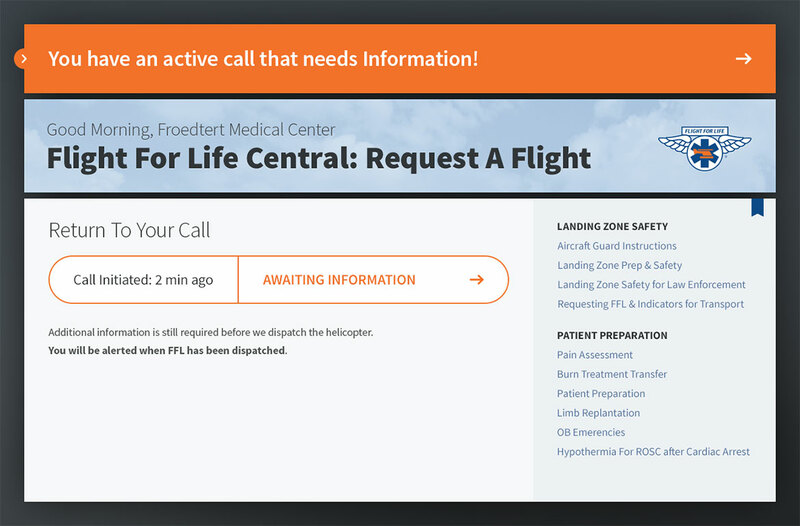 The other side of this story is the survivors who have been flown by Flight For Life. I designed a blog that allowed them to submit and share their stories. 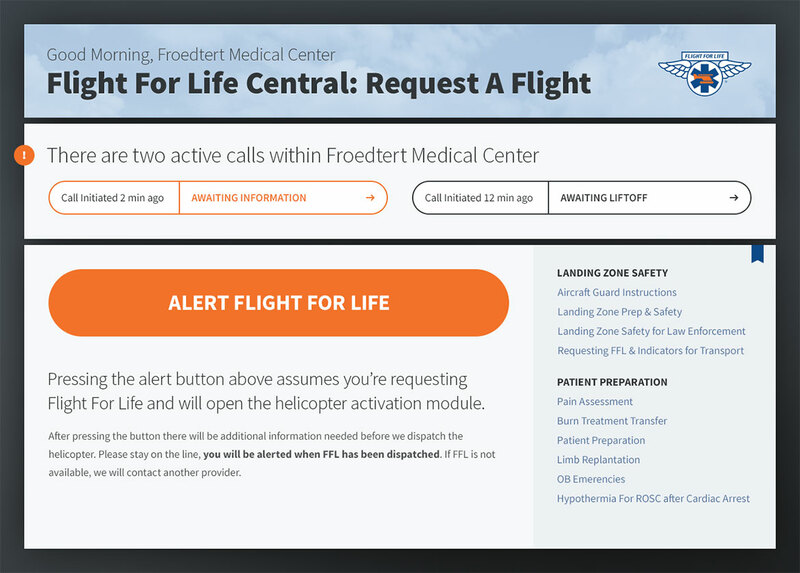 Flight For Life Central & Blog launched in 2014 and has been helping safely land helicopters and save lives ever since.